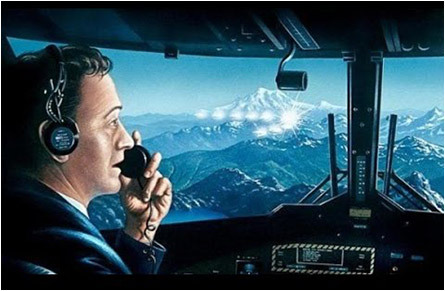 It was 70 years ago to this minute/day/month that (probably near-sighted) business man/amateur light plane pilot Kenneth Arnorld witnessed what he surmised to be nine flying discs (later deemed “flying saucers” by a newspaper reporter, NOT Kenneth himself), zipping around the snow-cover Mount Rainier in Washington State back on June 24, 1947. This gave birth to UFOs and countless sci-fi movies, documentaries, books/rubber novelty widgets — some true, some false — about the “alien” aircraft. He should’ve copyrighted this stuff; he’d have died rich in 1984 rather than just dying regularly. But that doesn’t mean UFOs are fake. Quite the contrary; it means that we can rule out that particular event as an extrapolated mistaken identity. All other UFOs are real, though. Even the well-polished ones. 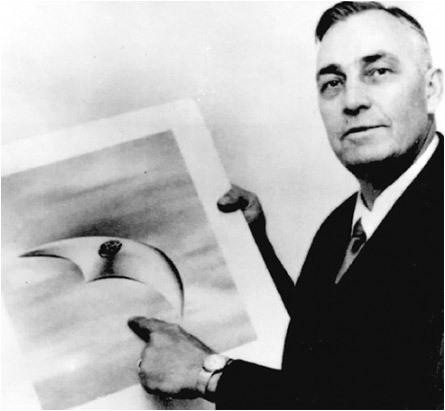 So, Happy Birthday Flying Saucers/Shiny Hubcaps — keep ’em flying.